When the dust settled on Ohio’s 45-14 shellacking of Louisiana-Monroe in the Independence Bowl on Friday, Bobcats coach Frank Solich made a point to thank his senior class for a wonderful four years. It's during that span that the Bobcats have gone from a cellar dweller in the Mid-American Conference to one of the most prolific teams among the nonautomatic qualifying conferences. And in the last two seasons, Ohio has won 10 games each year and its Independence Bowl win sealed the first back-to-back bowl wins in program history. So, it begs the question, what’s next for Solich? It’s been 10 seasons since Solich was ousted from Nebraska and seemingly exiled to Athens, Ohio. At the time, no one thought Solich would work in one of the "Big Six" conferences again and many thought he would flame out at Ohio and seek early retirement. The assumption seemed fair considering Solich had just one winning season in his first four and Ohio seemed to be treading water with him at the helm. But in 2009, things changed and Ohio went from being 4-8 in 2008 to 9-5 a year later. Since that last losing season, the Bobcats are 37-18 in the past four years. That should be enough to warrant attention for Solich from some bigger programs, but so far it hasn’t – at least not publicly. 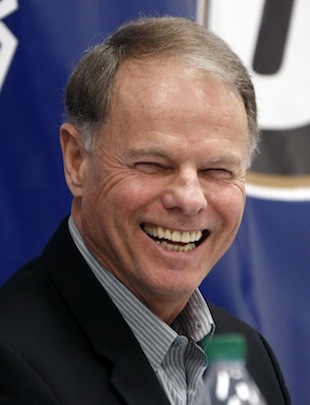 When bigger jobs come open, Solich’s name isn’t on watch lists. No one is clamoring for his services. He’s not the hot up-and-comer. Yet, some might argue that he’s helped write one of the best stories in college football. And year-after-year he’s proven that he’s a good coach. One who not only can win BCS bowls at Nebraska, but can also turn Ohio into a non-AQ power after more than a century of ineffectiveness. Perhaps it’s Solich’s age. It seems like most of the new, hot coaches are young and ready to start their major careers. Solich is 68 years old and pretty set in his ways. Innovation and energy probably aren’t two buzz words used when describing him, but despite his age, he gets the job done. And that's really all that matters. Perhaps I’m looking at this all wrong. Maybe he doesn’t want to move. Ohio rescued his career and he’s building a steady program in Athens, one he can be proud to pass on to someone else when he’s ready to hang up his headset. 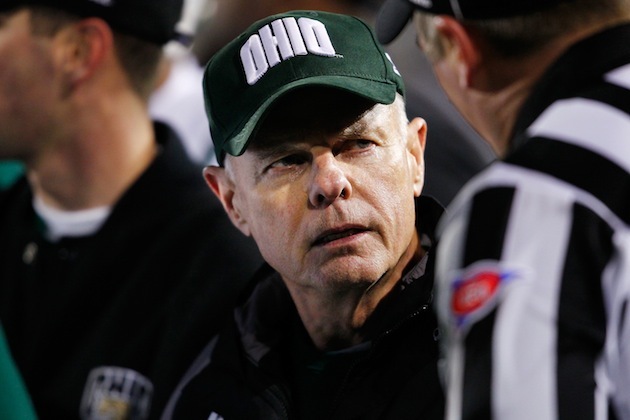 The way things are going, Ohio appears content to let Solich coach as long as he wants. And he looks happy. He’s appreciated and secure. And when it’s all said and done, his legacy won’t be the conference titles and national championships he won as an assistant and a head coach at his alma mater at Nebraska, it will putting Ohio on the national map for the first time in its existence.